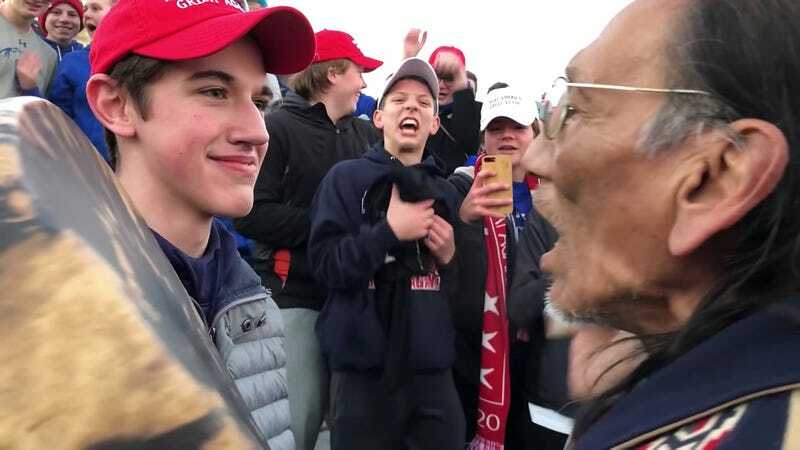 WASHINGTON—Depicting a standoff between Catholic high school students, a group of Black Hebrew Israelites, and a Native American elder, a viral video from the March for Life last Friday has sparked a national debate over the ethics of drumming in public. “Those on one side of the argument say there is inherent value in allowing citizens to express themselves in public with a percussion instrument while those on the other side point out that all that drumming can get pretty annoying sometimes,” said Politico reporter Caitlin Oprysko, who has covered the incendiary discussion about whether the United States should permit individuals to make beats using bongos, congas, and bodhrans outside the privacy of their own homes. “Some moderate proponents of the practice say that as long as it’s a pleasant polyrhythm and not a loud, consistent banging, then it’s okay, while more strident sects of the opposition believe any drumming at all is inimical to the interests of people just trying to go about their day in peace. A separate rift has emerged over whether it makes any difference if the noise in question is being produced by a single person with a hand drum or a large drum circle beating away on djembes.” At press time, a spokesperson for the Native American Arts Council told reporters that U.S. residents who object to drumming in public are welcome to withdraw from their settlements and move to another continent.